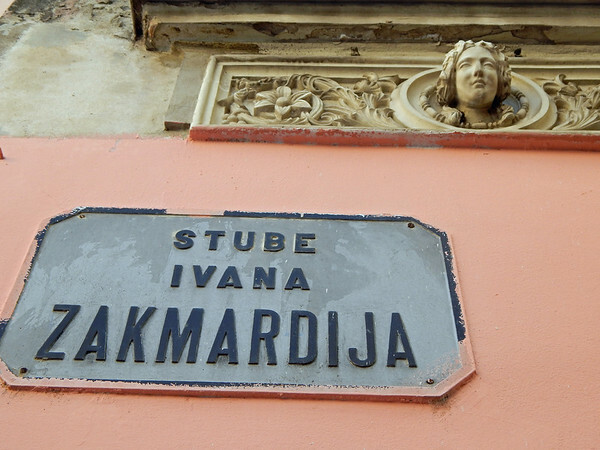 Earlier I wrote about the coffee culture in Croatia, and about visiting the markets in Zagreb during the first part of our trip. It’s been less than two months but it’s already fading and I’m ready for another vacation. Next year’s work load promises to be busier than usual, so I think my memories of all the trips I’ve taken in the past 12 months may have to suffice for a while. 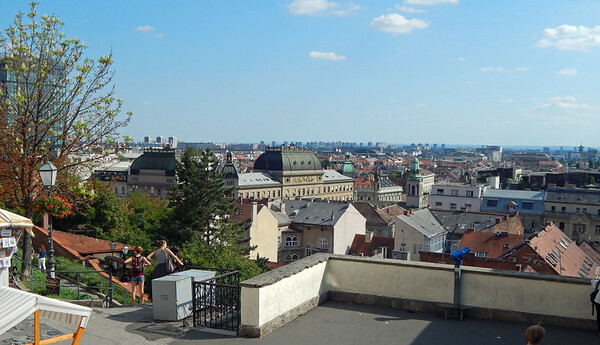 Here, I’ll share some photos of the city, and tomorrow I’ll mention some of the meals we enjoyed while here. 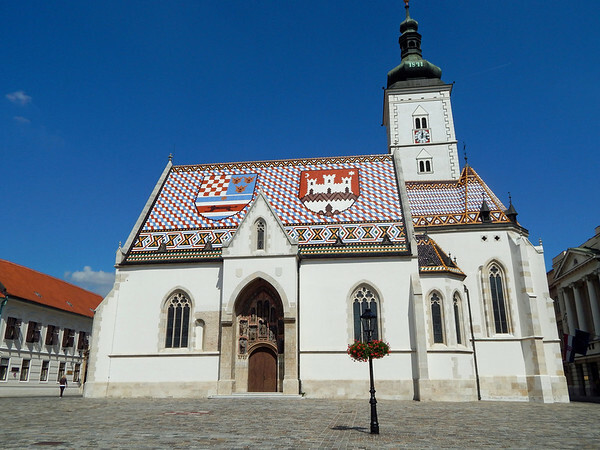 One of the iconic sites of Zagreb is the St. Mark’s Church, which dates to the 13th century and features a recognizable roof with the coat of arms of Croatia and the distinctive red-and-white checks found everywhere, including the national flag. 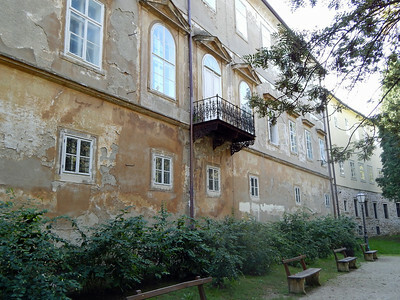 The plaza around the church includes a Town Hall and government buildings. 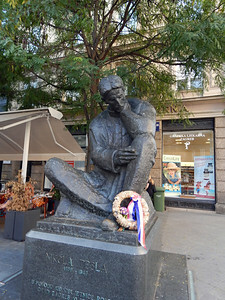 Tributes to Nikola Tesla are scattered throughout the city, in statues, plaques, and street names. 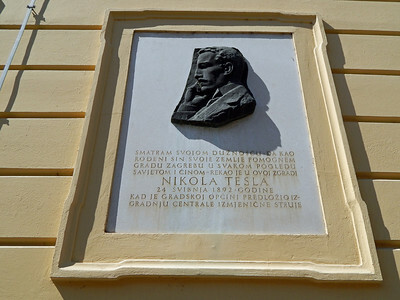 Although Tesla was a Serbian (and son of a Serbian Orthodox priest), he was born in what is now Croatia, and is honored there. Serbia also claims him, and features Tesla on their 100 dinar note. Elaine is especially good about peeking down corners and remember to look up. 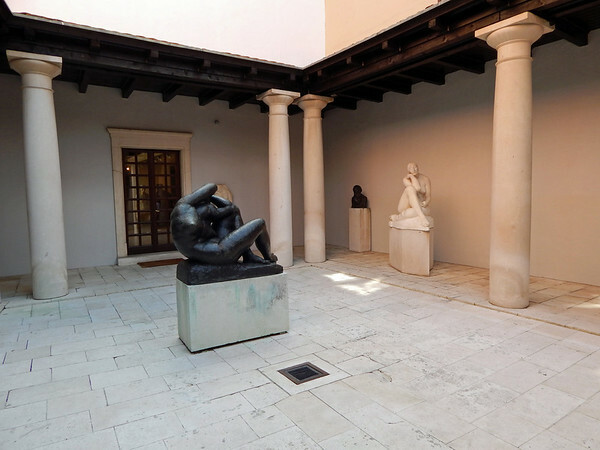 Thanks to her, we found little parks behind ordinary buildings, statues peering down from overhead, and art tucked in niches, not seen by people who are in a hurry. 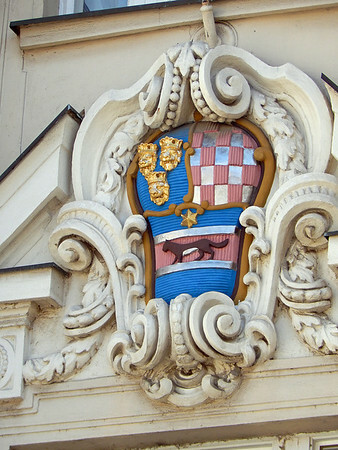 Zagreb has a lot of eye candy for those who love architecture and surprises. We passed these people several times in different locations. We never knew if they were married or models.